The other day at work we were discussing how to make a giant book for a skit at our Christmas party. I suggested using screw posts—But no one knew what those were. So I pulled one out of my pocket. They were so shocked that I had one in there that they made me empty my pockets to see what else might be in there (and take a picture of it). That's not so random, is it? Still not sure how I didn't notice I had a nail in my pocket though. 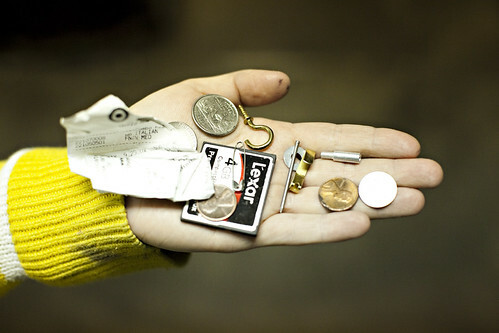 What random things do you have in your pockets? ?